Food is a big part of culture and one of the main things I love about traveling is trying different types of cuisines around the world. After a long day of walking around, I was hungry and wanted to try a popular local dish. My couchsurfing host and I met up in the city to try one of the many delicious dishes in Denmark, Flæskesteg. 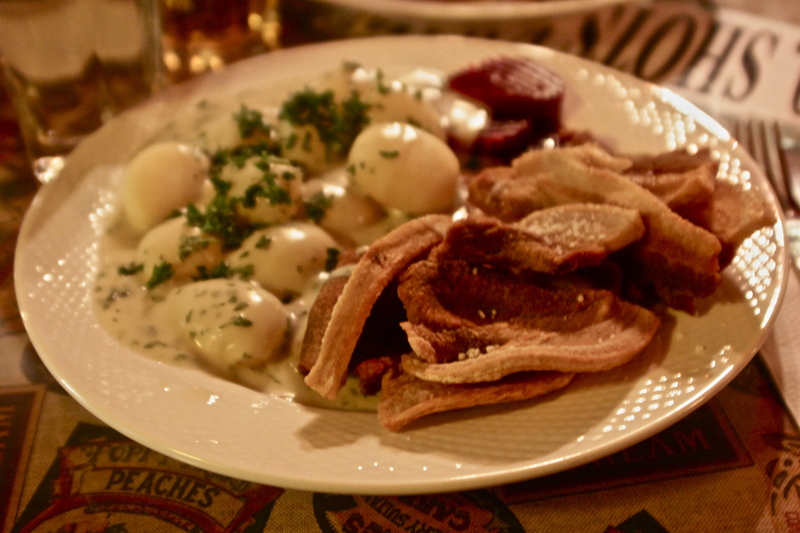 Flæskesteg is basically roast pork served with boiled potatoes and different types of sides. The one that we tried was roast pork and potatoes with mushroom sauce and cranberry sauce. It was actually really similar to a thanksgiving meal in the U.S. except with pork instead of turkey. Food in Denmark is not cheap. 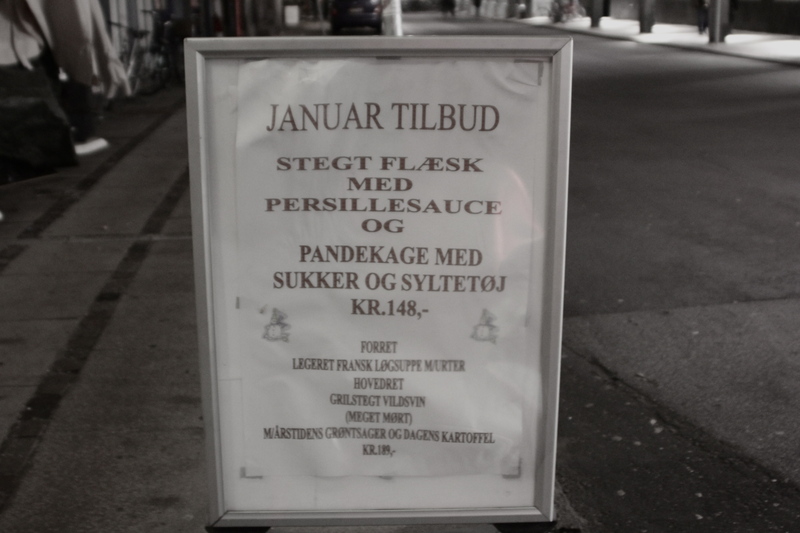 A ‘special’ on the menu, which was a lot cheaper than the rest of the items was about 148 DKK ($26). This was a decent price compared to all the other places around the Nørreport area. 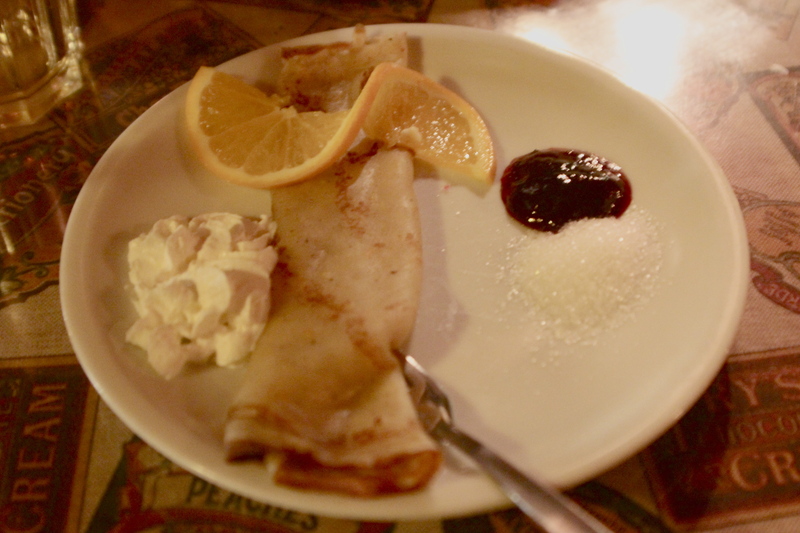 The special came with the main dish and a dessert (which was crepe with sugar and jam). What shocked me even more was that the tax was 25% (!!!). Our bill ended up coming out to about 355 DKK ($62) for two dishes and a glass of beer. As for the restaurant we went to, it’s not the best one I’ve been to and we were looking for something that was close by that wasn’t crazy expensive so had limited options. 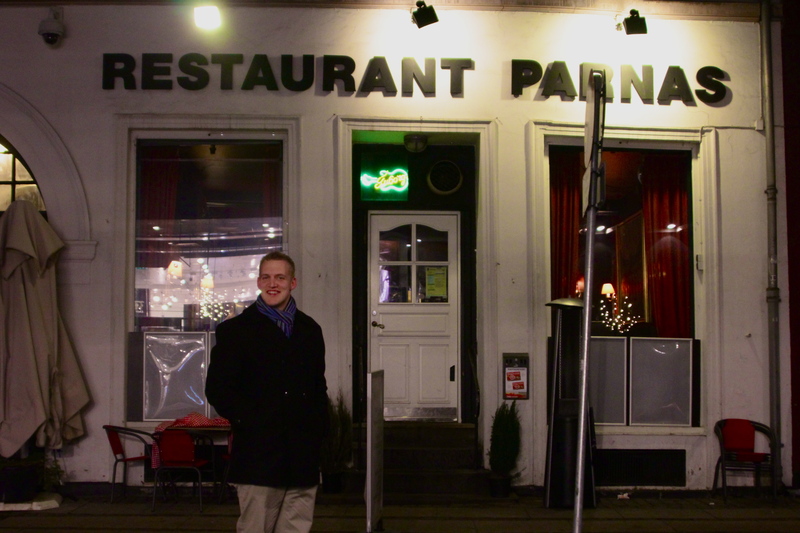 It wasn’t a bad restaurant though and the atmosphere was cozy. Definitely couldn’t complain for the price compared to the other ones around the area. I did enjoy the meal though and the portions are a lot bigger than I thought they would be. I didn’t get to finish everything but it was tasty and I understand why it’s a popular danish dish!